Isn’t about time to take a break? 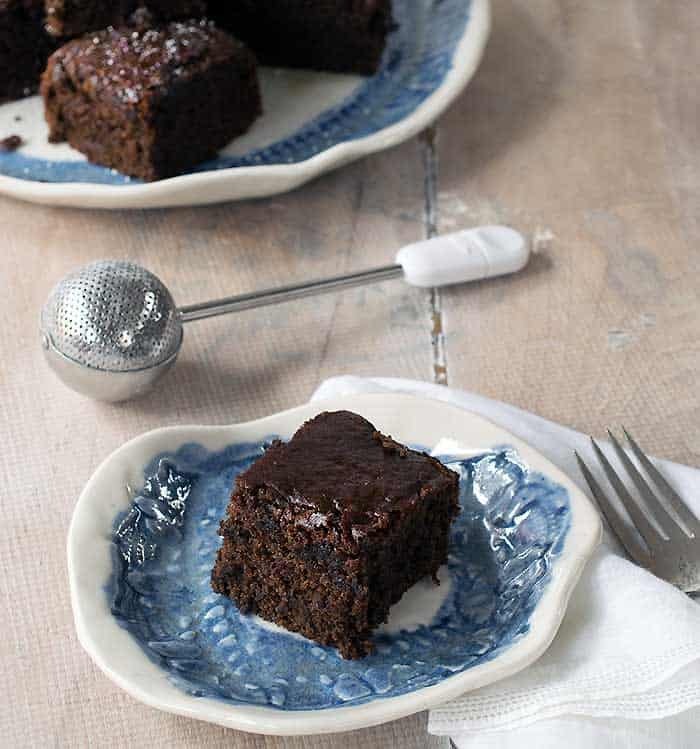 I suggest you enjoy a piece of gluten-free vegan teff gingerbread and a comforting hot drink. The past few months have been whooshing by for me. 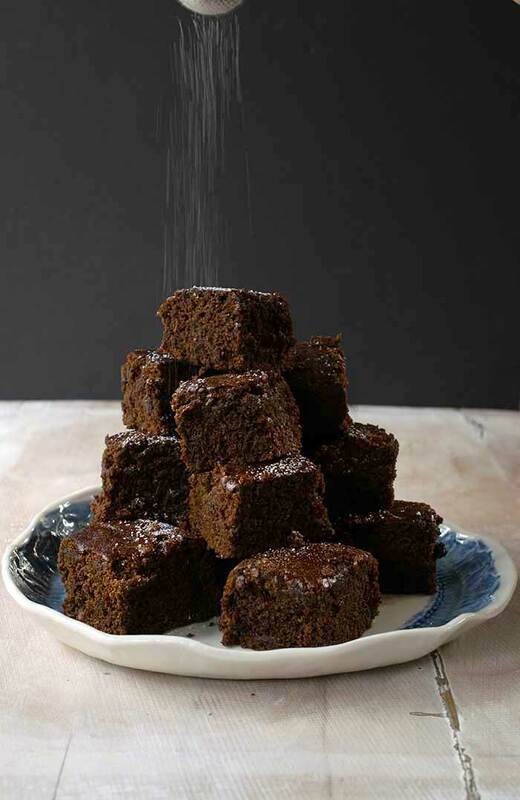 But for now I’m planning on curling up with a plate of this spicy and moist cake. But don’t worry, I’ll only stay cocooned for a little while. I’m not a huge fan of gingerbread cookies because they are usually a little dry for me. 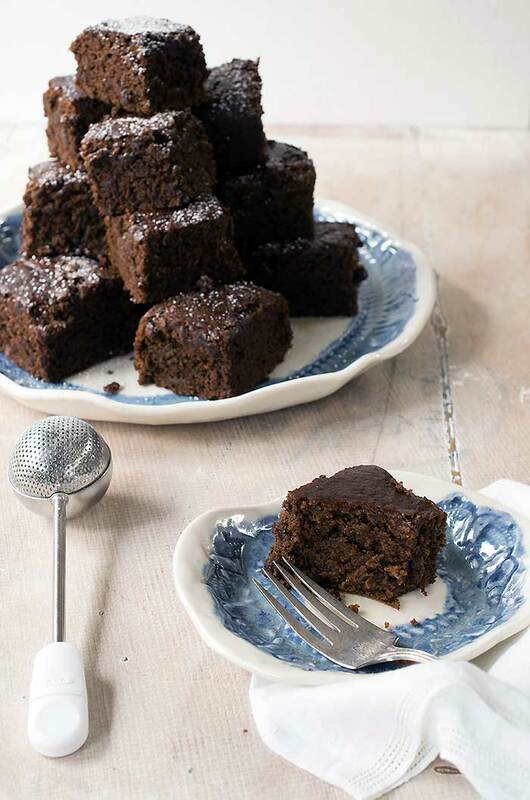 But I love a pan of moist and spicy gingerbread cake. The flavors scream winter. It’s so easy to make that you can take it to all the parties you get invited to, plus this recipe is gluten-free. You can also try making these in muffin pans. They would be easy to serve to a classroom of kids or as a snack at your holiday cocktail party. Once the weather gets colder, all I want to do is curl up in front of the fireplace with a piping hot cup of tea and a spicy piece of gingerbread. Not the cookie type that they make all the beautiful holiday houses out of, but a moist cake flavored with spices and molasses. Make this recipe for any holiday gathering you might be having. It’s even gluten-free and vegan so it’s on almost everyone’s can eat list! Preheat the oven to 350 degrees. Oil a square pan and/or line with parchment paper. I like to use one that has a tart pan bottom so it’s easy to get it out. Carefully scrape the batter into the prepared pan and even out the top. Bake for 40 to 50 minutes, or until a toothpick comes out clean when stuck into the center. Note: You could fancy this up by serving with some chopped candied ginger or sprinkling some powdered sugar on top. That looks just perfect! 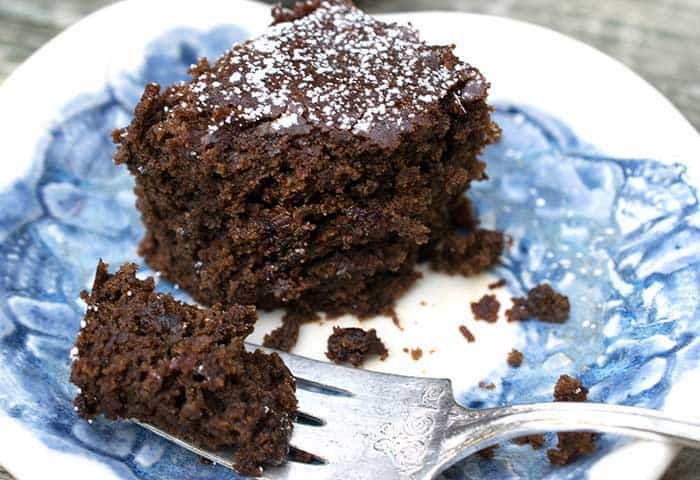 I love a moist gingerbread with a tender crumb and you seem to have cracked the code for a vegan/g-f version. This looks delish! What can I sub the teff flour and “baking mix” for? It should work with whole wheat pastry flour if that’s what you mean. If not can you clarify what you’re looking for? Before “Gluten-free”, Joy of Cooking had a recipe for Gingerbread with rice flour; because it was the best. Gingerbread is just a good idea for everyone. Hi. This looks great. Do you know if I could freeze this for a week before serving? I haven’t frozen it before, but it should work. I have a whole bag of teff and I’ve been wondering what to make with it. This looks like a delicious solution! Gingerbread is one of my favorites.